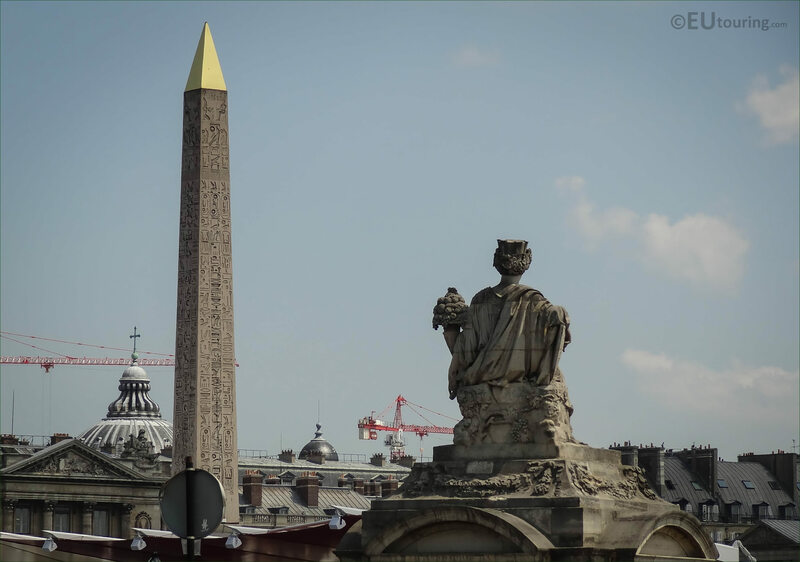 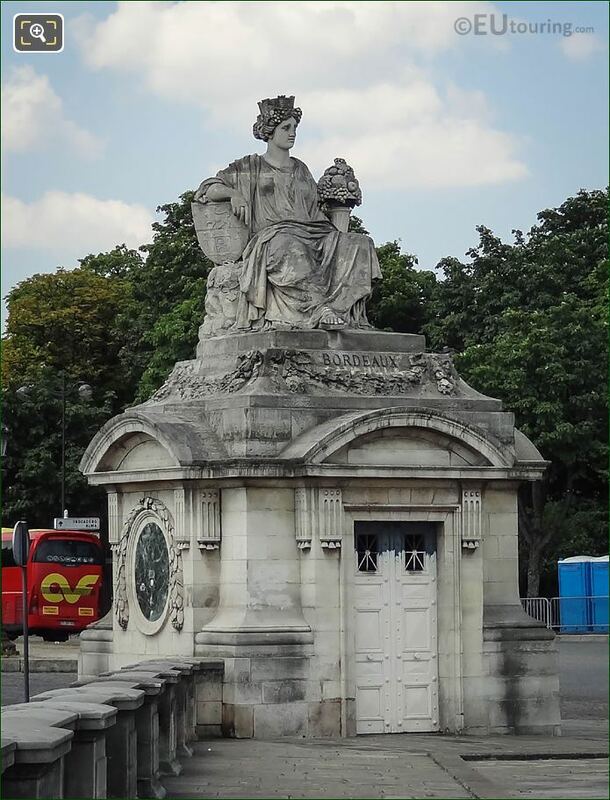 This time we were within the Place de la Concorde square in the 8th Arrondissement of Paris, when we took these high definition photos showing the Bordeaux statue by Louis-Denis Caillouette. There are actually eight statues that surround the outside edge of the Place de la Concorde, which is an octagonal square, and these female allegories representing different cities were designed by the architect Jacques-Ignace Hitorff, who also designed the fountains for the square when it was re-laid out in the 1830s, and this image shows one called Bordeaux close to the Champs Elysees. 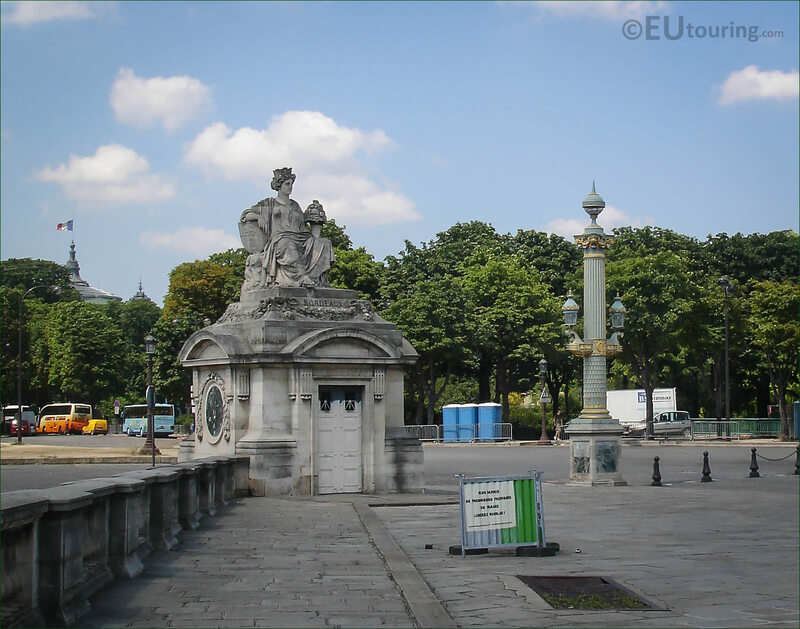 Here you can see the back of the large allegorical statue called Bordeaux, which was designed by Jacques Ignace Hitorff, yet sculpted by the artist Louis-Denis Caillouette, and as you can see from this image, it looks towards the centre of the square and the famous monument of the Luxor Obelisk. 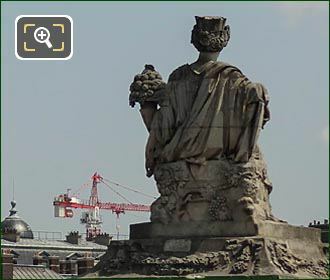 This is a closer photograph we took of the statue called Bordeaux, or in French La Ville de Bordeaux, that was sculpted by Louis Callouette in 1836 with details such as a shield under the right arm, and grapes adorning the head dress, which is mounted on a stone plinth like a small building, and as you can tell, it even has doors to be able to get inside, which gives you an idea of its overall size.